Nigerians on social media have reacted to the arrest of popular Nigerian singer, Adekunle Temitope, popularly known as Small Doctor. We reports that Small Doctor was arrested Monday for unlawful possession of firearms and for allegedly threatening to shoot a police officer. 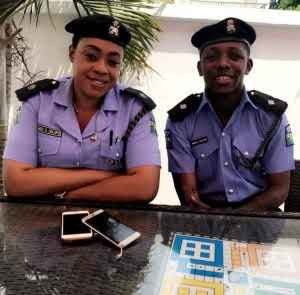 Edgal Imohimi, Lagos State Commissioner of Police, while parading the singer with three other persons, said he was arrested on allegations that he threatened a police officer who was on traffic duty along Oshodi, Lagos. The singer’s arrest has now stirred diverse reactions from Nigerians on social media. While some called for justice to be served on the singer over his actions, others dragged the police for having someone like ‘Small Doctor’ as the force’s ambassador. @ChidiArua “So, Small Doctor got arrested by the brand he’s representing for carrying the brand’s most cherished product? @Rawdiyaxo “This Small Doctor issue is a typical illustration of Trust nobody. Brand dey arrest Brand influencer onto say he carry a Brand product. @LawalBabatu “As much as I do not subscribe to the treatment meted out to him, he actually took his stupidity to a new height.